Apple is widely rumored to be launching three new iPhones later this year in September. These three new iPhones include 5.8-inch iPhone X, a larger 6.46-inch iPhone X Plus, and a 6.1-inch model with iPhone X like feature. We have the schematics of the iPhones, dummy models, but nothing concrete so far. However, the glass panels of the three iPhones finally make their first appearance. 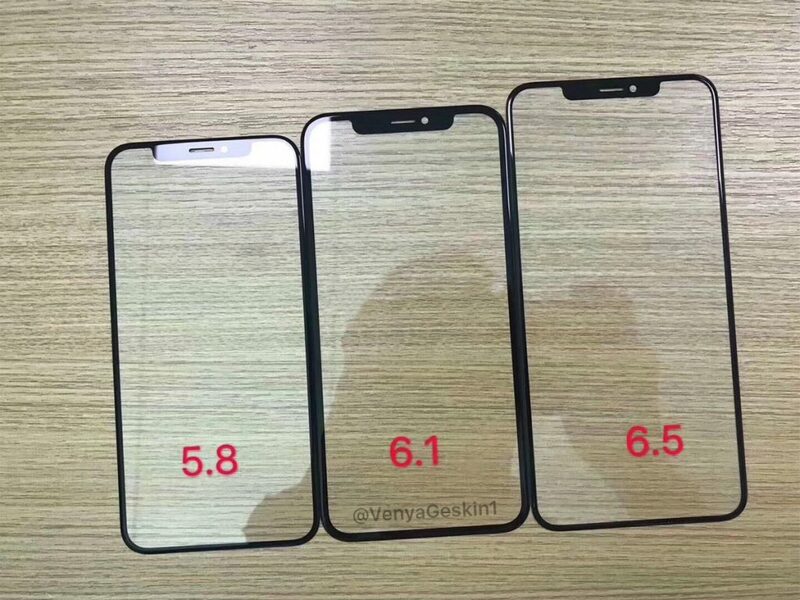 The image reportedly shows the glass front panels of the 5.8-inch, 6.5-inch OLED models, and 6.1-inch LCD model in the middle. 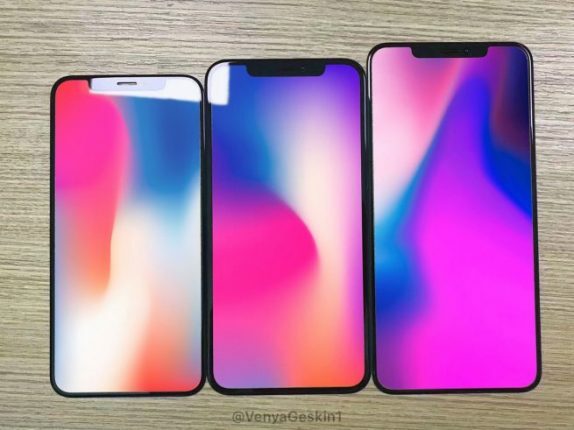 If the leaked information is to be believed, the 6.1-inch low-cost iPhone with LCD display resembles the iPhone X like design. Since achieving a near-bezel-free display with an LCD screen requires some new technology, but that isn’t expected to match the thin bezels that are possible with the OLED models. Since the source is a well-known leaker Ben Geskin, it should weigh some credibility and he also posted render image based on the panel leak. When you look at the render, the difference in bezel thickness is definitely visible when compared side-by-side, but it should be a worthy trade-off the considering the iPhone X like design at a substantially lower price. According to the rumors, the LCD model is said to be priced between $550-$600.